Clement Huffman is headed for the largest high school track meet in the nation. Huffman, a junior at Altoona-Midway High School, will compete in the long jump event at the Kansas State High School Track Meet, to be held May 25-26 in Wichita. Kansas combines all classes - from 1A to 6A - in its annual state track championships, making it the largest such meet in the country. 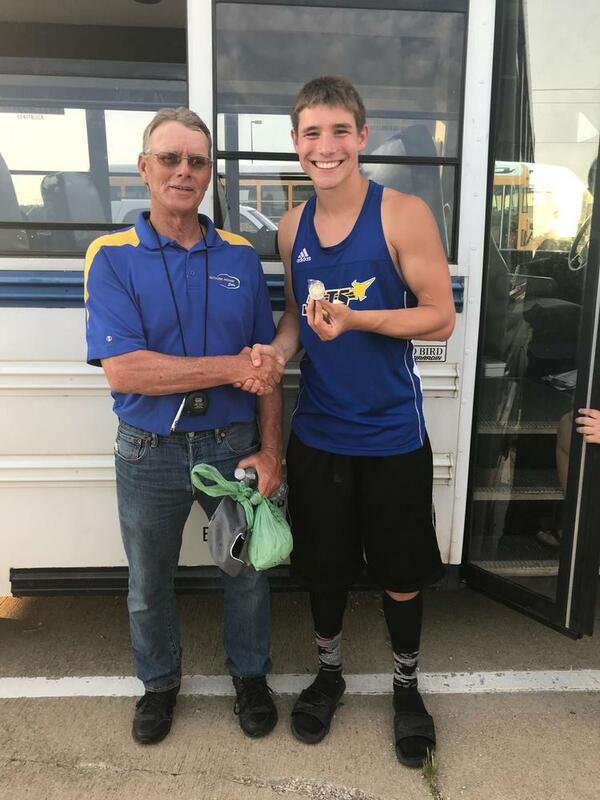 Huffman had a leap of 19 feet, 3 inches at Class 1A Regionals Friday at Burlington to earn his spot at the KSHSAA State Track Meet. Huffman’s leap of 19-3 at regionals was good enough for second place. He missed first place by just 1.25 inches. “I had high goals for the meet,” he noted. “There were a few bumps in the road in other events but I’m glad that I preformed at a high level in long jump placing second and advancing my season to Friday. Huffman and his coaches are looking to improve his distance at state. He has jumped over 20 feet earlier this year. The KSHSAA State Track and Field Meet will be held May 25-26 at Cessna Stadium, 21st and Hillside, on the campus of Wichita State University. According to the KSHSAA website, Huffman is scheduled to compete in the 1A boys’ long jump competition at 3 p.m. Friday. Ticket prices are $8 for adults and $7 for students K-12. There is no parking charge.